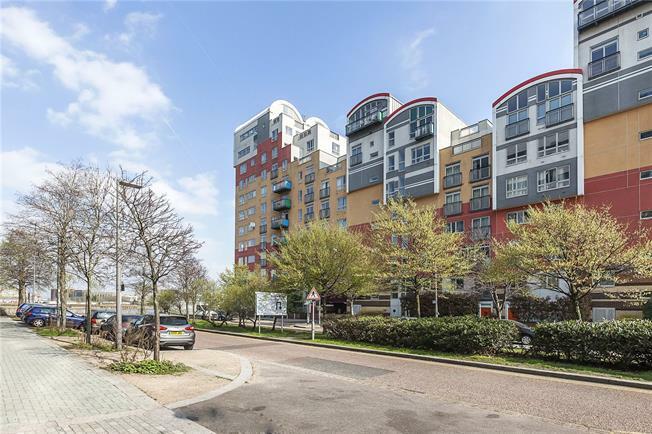 WATERSIDE - Set on the 7th floor of Maurer Court in the heart of Greenwich Millennium Village, this smartly presented one bedroom apartment measures over 550sq feet. It has a spacious reception room with plenty of room for dining next to the open-plan kitchen which is perfect for the modern lifestyle and has a balcony with stunning views of the river towards the Thames Barrier. Floor-to-ceiling windows throughout the apartment make it incredibly bright and airy and with a contemporary decor throughout would make the ideal home, pied-a-terre or rental investment.